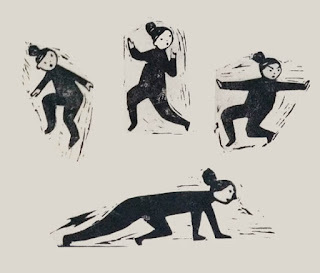 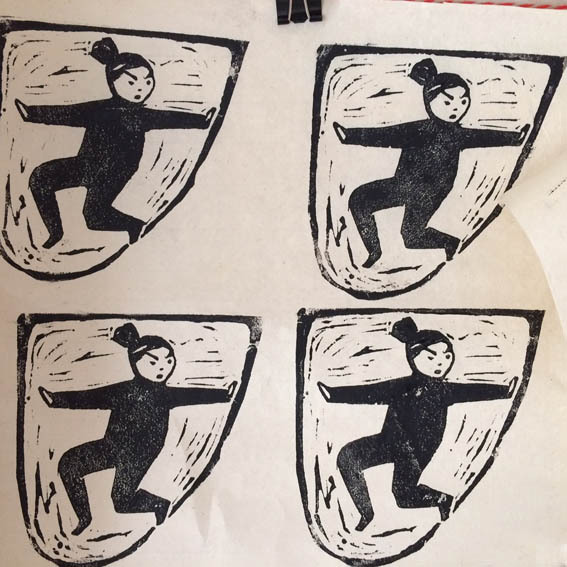 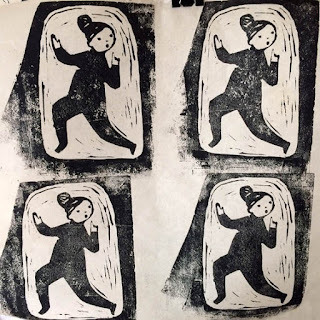 I turned Ninja Mum into linocuts. I was too lazy to reverse the image so it's a mirror image to the original. but Ninja Mum is super stealthy whichever way she goes.